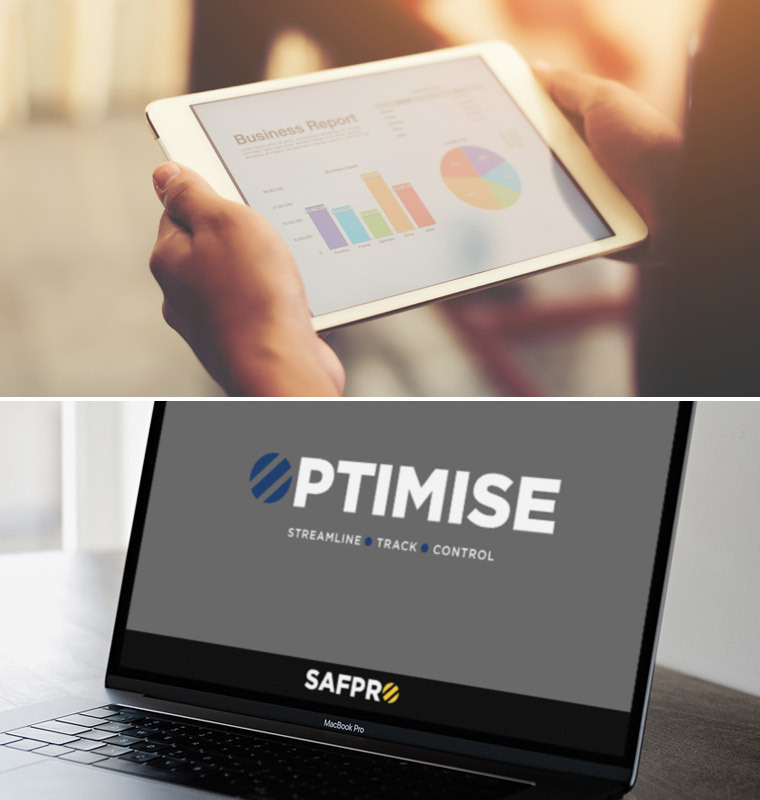 Optimise is a powerful, easy to use ordering system that is unique to Safpro. It is designed for companies that have a large number of wearers and locations and allows for selection from a predetermined range of approved products. This system takes the complexity out of ordering for many individuals carrying out wide varying job roles, each with specific requirements, at many different locations. It will pull information together and allow managers to view the complete purchasing picture. Optimise can manage additional branding for different logos and we have handled up to 150 different branding options for clients. Optimise manages this through unique logins for each business brand. Optimise is a powerful online management solution, fully integrated into our order processing system. It is a fast, efficient and simple method of ordering and managing Workwear, PPE and Access Equipment requirements. Individual spend management by points system. Inspection & Replenishment alerts, ensuring total compliance of all products. Ensures compliance with core product catalogue for stock orders. Authorisation process for different spend levels. Check order status and consignment details for delivered orders. Access a full suite of reports, giving full visibility on all orders and usage. Spend and volume usage by each branch, cost centre or to drill down to the individual wearer. Spend and volume usage by product and product category. A full Stock report by product and size. Service performance reports including On Time in Full (OTIF), part and late deliveries. Enquiry response time performance report. Tel: 01452 529050 Email: sales@safpro.co.uk See for yourself how easy and effective Optimise is, with a demonstration.